This year marks the 10th anniversary of Auckland’s Tempo Dance Festival. The 12-day festival will once again bring together a strong programme of New Zealand, Maori, World, Youth, Families, Contemporary and Showcase events, along with the annual Honouring A Dancer award. This year the award will be presented to someone who is considered synonymous with Tempo Dance Festival, Mary Jane O’Reilly. O’Reilly served six years as artistic director of Tempo, so her being awarded at the Honouring A Dancer ceremony is a fitting tribute for the 10th anniversary. She was co-founder, dancer and choreographer (and for seven years, artistic director) of one of the most important companies in the history of New Zealand contemporary dance, Limbs Dance Company. 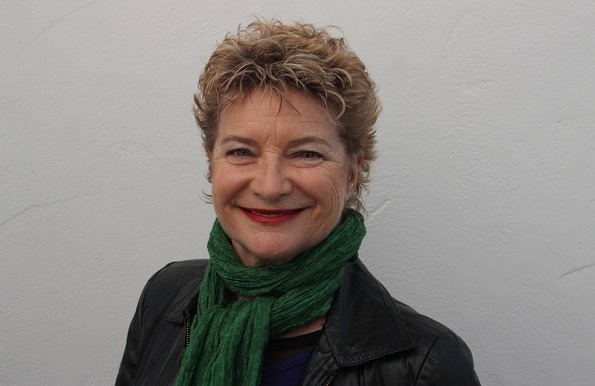 O’Reilly’s professional career both locally and internationally spans 25 years and has seen her choreograph events such as the Opening Ceremony of the 1990 Commonwealth Games and the 2000 Millennium Dawn event in Gisborne. She also founded and directed Auckland Dance Company and created more than 60 original works for dance companies both in NZ and offshore, including the first original three-act ballet ever commissioned by the Royal New Zealand Ballet – Batten in 1990. 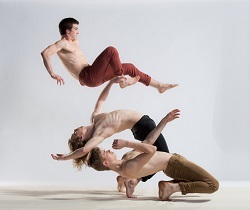 New Zealand School of Dance students Camillo Baracco, Luigi Vescio and Michael Gudgeon. Photo by Stephen A’Court. The New Zealand School of Dance has begun rehearsals for its Graduation Season of dance performances, which will take place in November. Each of the choreographic works to be performed are being developed and practiced by the students over the next few months. Belgian choreographer Elie Tass has recently been in the studio creating a new work on the contemporary students. His visit was followed by one from Lynn Wallis, artistic director of the Royal Academy of Dance (UK). Wallis coached the classical students in Sir Kenneth MacMillan’s Solitaire. Also on the graduation programme will be Rise, a new work by former Royal New Zealand Ballet dancer Jo Funaki; a newly-created work by iconic New Zealand choreographer Michael Parmenter; Jeffrey Tan’s intense and sculptural duet Façade; Val Caniparoli’s highly evocative male solo, Aria; and The Land of Yes and The Land of No, which comes to Wellington directly from Sydney Dance Company. It is currently popular in the US, Canada, Shanghai and all over Europe and the UK. There are regular events in four New Zealand centres now – Auckland, Tauranga and Wanaka, as well as the capital. The latter group was established by Tessa Johnstone, reporter for the Dominion Post by day, free movement facilitator by night. Participants are asked to simply rock up in comfy clothes, and to bring $5 to contribute towards costs. If you are interested in joining the fun, check out the Facebook page at www.facebook.com/NLNLWellington. For more information on where to find NLNL in your area, head to nolightsnolycra.com.